JungleWatch: TOHHHHH-NEEEEE, OH, TOHHHHH-NEEEE, OLLY OLLY OXEN FREEEEEE!! 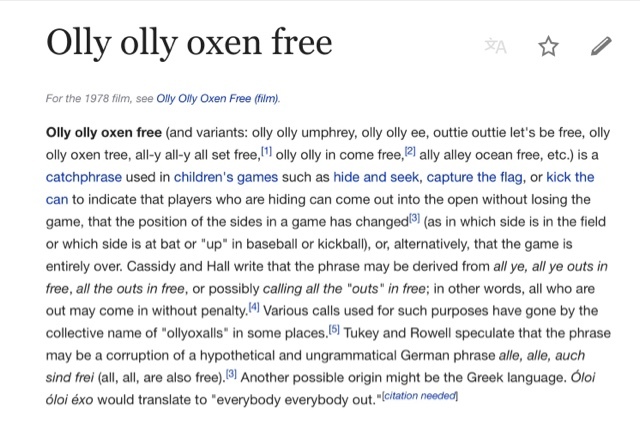 TOHHHHH-NEEEEE, OH, TOHHHHH-NEEEE, OLLY OLLY OXEN FREEEEEE!! The long arm of the law will pull Tony in. Tony can run but he can't hide. where could he possibly be I wonder? San Francisco with a former altar boy? "Rome has approved it – even the way we’re receiving communication. That they receive the notification standing and they can sit down and everybody who receives it and they read together...Rome has given permission for that. And it’s published somewhere I need to find out where exactly, but they told us that permission is given to take every penny that I have STOLEN." YOU MEAN HE IS NO LONGER ARCHBISHOP RIGHT?? TITLE TAKEN AWAY HIM ,RIGHT..,.AND TO TAKE EVERYTHING BACK HE HAS STOLEN TOO....I'M TOO EXCITED AND REALLY NOT COMPREHENDING..PLEASE CLARIFY SO I CAN CALM DOWN ..LOL..
Take a chill pill NEO Cult Zombie@6:51am. In the eyes of the faithful Catholics in Guam, your "Brother Tony" has lost title and respect the moment his victims came out and accused him in a public forum. Tony gave up any respected title associated with the cloth the moment he laid his filthy mind, body and soul against these children of God. So take a breather and smell the roses. Now go follow Profit KIKO and slither back into the hole you came from. Anon 10:13 AM..you didn't have to Burst my bubbles that way..I was really hoping Tony Boy would be out..f he's out.I'll get to KEEP and ENJOY my ENTIRE paycheck..SMH...A dream too good to be true I guess..
AYE ANTONIO. FINDING NEW VICTIMS IS GOING TO BE HARDER FOR YOU NOW.YOU CANNOT FOOL PEOPLE ANYMORE AS A HOLY MAN AND BISHOP...YOU HAVE BEEN IDENTIFIED,,,YOUR PICTURE ARE ON POSTERS ALL OVER THE WORLD ..PEOPLE KNOW WHO YOU ARE..NEED I SAY OR REMIND YOU WHO YOU TRULY ARE AND WHAT YOU STAND FOR?? YOU HAVE SHAME OUR FAMILY AND GOOD NAME..
Tony scored in today's Sunday Post. 1.They fear public intimidation, unfair labeling = The Victim' fear nothing. 2.They don't hate the victims = They only analized each victim' story in detail to rewrite they're own version without being present to witness each incident. 3. Say What! What did she say! Child abuser (they're Bro Tony) should be punished=What a change of heart. One reason why many who opposed the bill did not come out was the intimidation and unfair labeling. I do not hate the victims nor support child abusers, but those who oppose the bill were labeled as such. I think child abusers should be punished, but not the institution they work in. Great pic of Tonyin today's Post. D.Anthony...I just re-read what you posted...YOU HAVE STOLEN ? ?.so what's up with that? ?..trying to pulled a fast one on us uh? ?..some of us get easily excited especially with news like this..
Apurun recent seen hiding in an adobe factory in New Jersey. He is literally shitting bricks. You say New Jersey? ?..Oh poor poor Tony Boy,shitting Bricks and freezing his yang yang and balls off too...Looks like he can't or won't be straddling or riding the Horsey /Pony for a while....LOL.. If Apuron's in New Jersey, that's where some of the people he partnered with in the RMS swindle live. Allegedly, they're money launderers. Do their Italian last names mean they might be "Connected"? Again, and allegedly, the New Jersey Mob controlled labor unions that built Donald Trump's Atlantic City NJ casino hotels. The same casino hotels that nearly bankrupted him a few years ago. Anon 7:08 AM. It is soo nice to hear Diana say the victims have nothing to fear..,,I totally agree with her..(omg,did I just say that? lol) when a person is telling the truth,he will stand his grounds and that is what the Victims did...They stood their grounds even after ApuRun tried to intimidate them with lawsuits and called them liars..When Tony Boy realized the victims are NOT afraid of him and Not backing down,He decided to get out of Dodge City and been hiding May.it just shows that HE's the Thief and a Liar.. Otherwise, he would have stayed back to defend himself,Clear his name and especially his Honor...Now, even his own followers are ready to either throw Their Beloved Tony Boy under the Bus or hang him themselves.. It is a trend of late to save appearances in the NCW. Of course that goes against all their history of hiding and abetting sexual predators throughout their existence.